"This painting was a commission booked as a surprise for the owners as a way of remembering their two dogs, both sadly recently departed. The painting was a composite taken from two separate photographs - don't they both have such beautiful eyes and expressions. 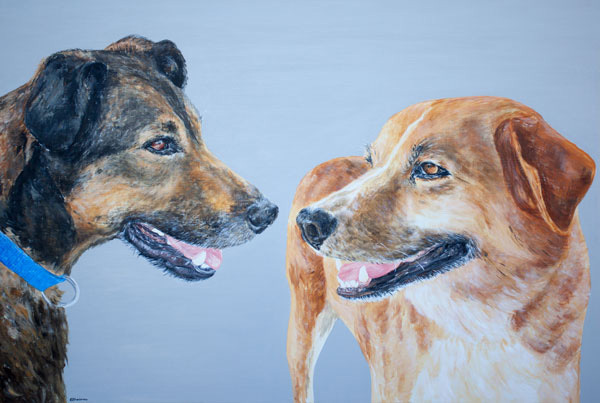 A pleasure to paint on a nice neutral light grey background to help accentuate the two dogs and their colouring."